Ix's helmet-like head, beak, and wings are made of an interesting material. While biological, their hardness and shiny appearance can give the appearance of a sleek metal. Of course, Ix's talons are the real stand-out feature of this monster. 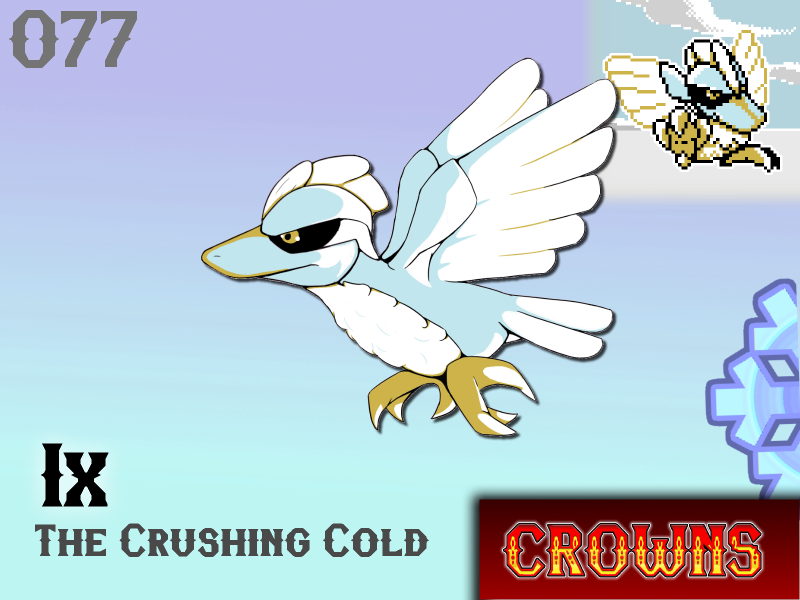 Even more metallic than the rest of its body, these golden claws crush blocks of ice - even rock - with ease. Ix will shred the thick ice of frozen ponds, carving out an area for its kin to rest between flights. Many years ago it was common for humans to hunt Ix for their armor-like claws and body, fashioning rudimentary weapons and tools from them. Eventually, a cornered Ix put its practiced, crushing claws to work on a hunter's head... causing this sport to quickly fall out of practice. Will Ix make your team? Will Ix make it into my Team? Absolutely!